Adjustable beds allow you to completely be in charge of how you get comfortable. Not only do they add new positions for you to relax, they enhance your mattress with new technology. An adjustable bed is a remote-operated, mechanical base that provides a unique place for you to rest at night. 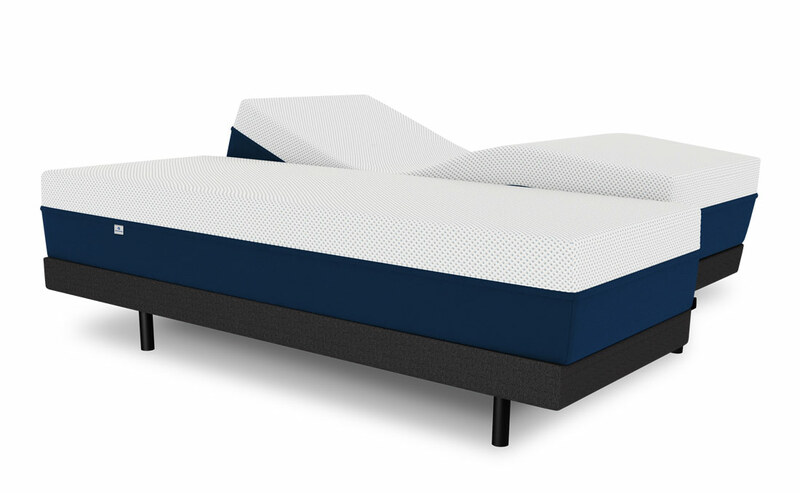 Sold separately from a mattress, an adjustable bed adds the ability to change the angle of your head and feet while laying in bed. You'll enjoy additional comfort while sleeping, watching TV, reading or whatever else in bed when you pair your mattress with an adjustable bed. Each adjustable bed brings a unique feature set. The first difference in every adjustable bed is the head and foot lift angles. Having larger angles to move within gives you more options to find your perfect position. Once you've found your perfect setting, you may want to save it for later, so look for an adjustable bed that has programmable positions. If you don't want to mess with finding a unique position, adjustable beds can come pre-programmed positions that are well suited for watching TV, reading, using a laptop or tablet, or relaxing for the night. Safety features are also important with an adjustable bed. In the event of a power outage, your adjustable bed can have a battery backup that will bring it down to a flat position. If you have small children or pets, certain adjustable beds can sense if any person or animal are in contact with the inner workings of the adjustable bed, it will cease motion to prevent any injury. Experience the Peace of Zero Gravity. Simply pressing a preset button will position your body into a virtually weightless state. Resting in a zero gravity position reduces tension and fatigue and alleviates strain on your lower back and legs. The Zero Gravity position can also help with snoring and circulation by having your legs lifted above your heart. This unique position will help you relax unlike ever before. Enjoy a Relaxing Massage Every Evening. The dual massage motors built into select adjustable beds gives you two separate areas working to soothe you. The upper motor works to relax your shoulders and neck while the lower motor provides relief for your legs. You'll feel stress melt away from your day the moment you lay down. Choosing the Right Adjustable Bed Style. Adjustable beds come in two different styles. Certain adjustable beds can move independently on either side while others move together. If you're sharing your mattress and you and your partner want to move independently of each other, consider purchasing a split base. This is ideal if one person enjoys staying up to read or watch TV or prefers to sleep at a different angle than the other. Having your adjustable bed move independently on either side also means that your mattress must be a split in the middle. This is usually only offered in the queen and king sizes. Feel the Benefits of Adjusting Your Comfort. Beyond the features that adjustable beds include, they also provide certain benefits as you sleep. Adjusting your bed can reduce back pain by relieving stress on sore muscles. Snoring can also be reduced by slightly raising the head to improve your airflow. If you enjoy watching TV or reading before bed, you can find the right position won't strain your neck as you relax. 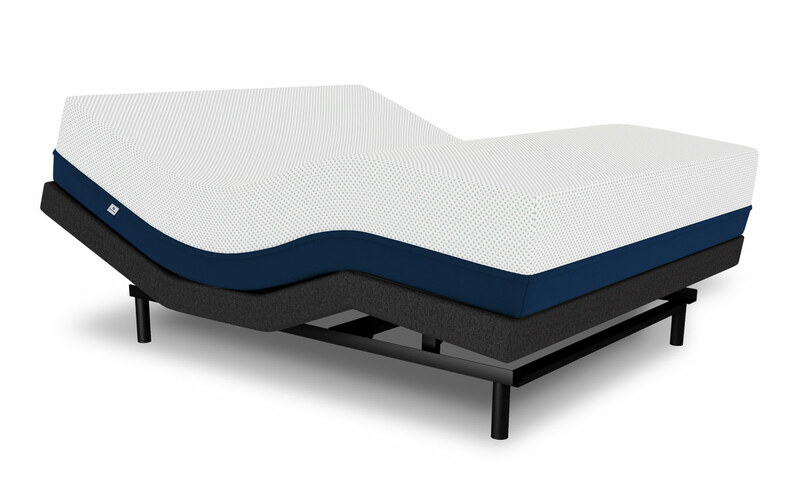 Pairing a Mattress with an Adjustable Bed. Once you've found an adjustable bed that suits your needs, pairing it with the right mattress is a necessity. Memory foam and latex mattresses are all compatible with adjustable beds while innerspring and air beds might not be. The right mattress and adjustable bed combination can elevate your sleeping experience and help you to relax and get the sleep you deserve every night. Common questions regarding adjustable beds. How is an adjustable bed delivered? Unless you purchased the additional delivery service, your adjustable bed will delivered to you by a freight company to your curbside and will require assembly. What is the Wallhugger® feature on certain adjustable beds? Wallhugger® engineering enables an adjustable bed to stay extremely close to your wall as your head raises. You'll remain near to your bedside table. Will an adjustable bed fit into my existing bedframe? Our adjustable beds are designed to be compatible with most standard bedframes. If you're unsure about your bedframe, give us a call at 800-(500)-4233 and we'll glady help you examine your bedframe to ensure compatibility. 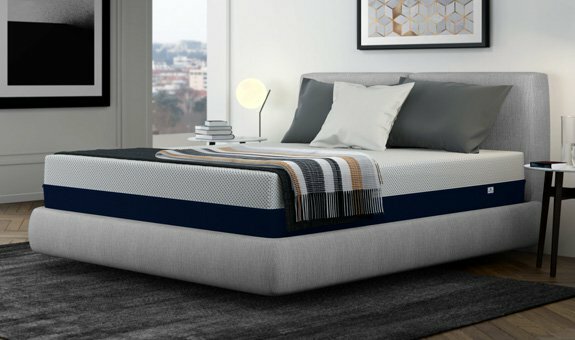 Do I need a mattress foundation if I purchase an adjustable bed? Owning an adjustable bed replaces the need for a mattress foundation. Your mattress will rest snugly atop your adjustable bed and will be supported perfectly.